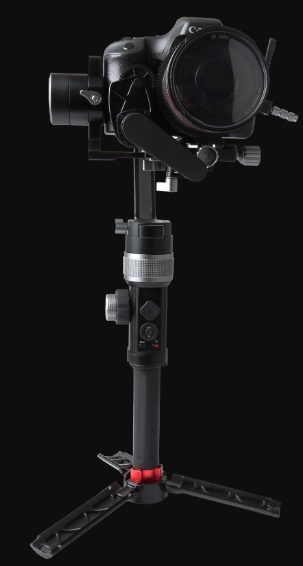 Digitek has announced the launch of it's AFI D3 Phoenix Gimbal for Videography Aficionados. The high-quality aluminum alloy AFI Phoenix D3 Gimbal has a maximum weight capacity of 3.2 kgs with a built-in foldable mini tripod design that makes it extremely portable. If you are interested to know more detail about this Gimbal and its price etc. then find them over here. The A 3-Axis brushless motor driven steady technology to make photography more steady coordinated and sensitive. If you are searching for DSLR camera gimbal or the best quality gimbal then here it is. This Gimbal supports the professional DLSR camera with innovative handle and built-in foldable mini tripod design. The gadget can operate in four modes of full-following, pan-following, full-locking and roll-following mode to follow every detail and minute movement fluidly. This Gimbal is available at all Leading Photographic Outlets across the country and also available at Amazon. Digitek AFI D3 Phoenix Gimbal price: INR 44995/- including Follow Focus Kit. Tips: One of the best collection of Gimbal to go with.